JP Morgan's investor day happened recently and there's been a huge focus on cost cutting and creating a business that can deal with new regulation cutting into the firm's profit. JPM is confident that it can win in this new environment, and has upped its yearly profit target from $24 billion to $27 billion. 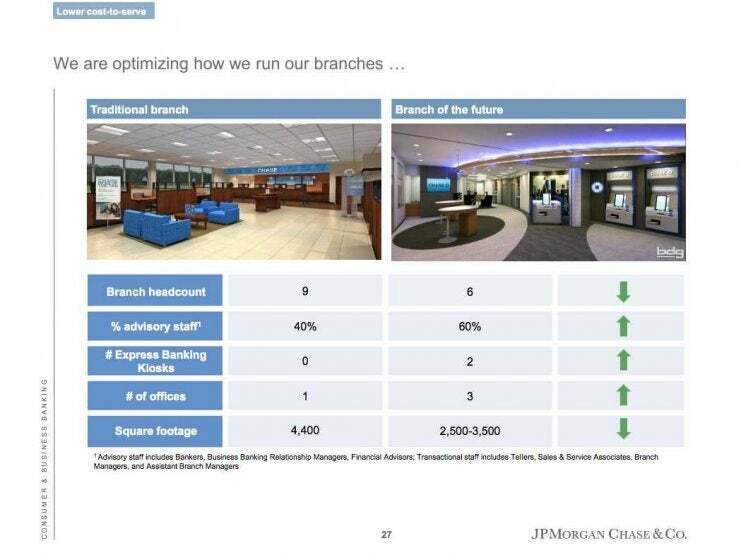 Part of how CFO Maryann Lake explained the bank would achieve these ends is by optimizing its retail banks. In other words, fewer humans, more machines. These two slides from the presentation show the decline of basic human skills. 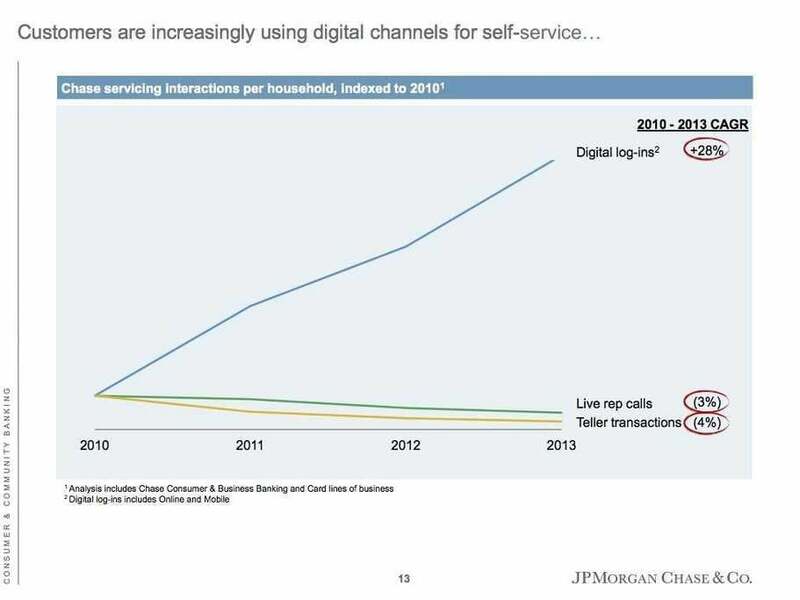 And the second slide shows how customers interact with their bank: Online activity is surging while phone and in-store transactions are declining. All this probably means there are more job cuts to come on top of the 2,000 in mortgage banking JPM announced this morning. Those jobs, though, will be on the low-skilled side of the labor force. JPM hired 7,000 people in risk management last year, which shows that on the higher-skilled side of the labor force, demand is there.